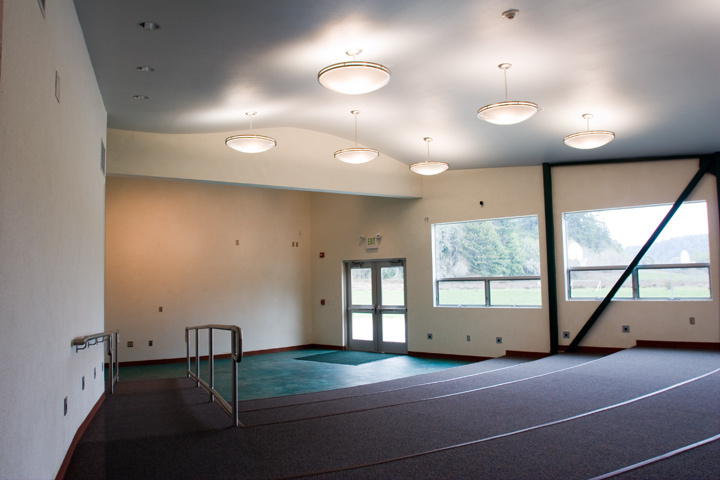 Salmon Creek School Education Center on the Harmony Union School District Campus in Occidental, CA was the first LEED-Platinum public school building in the United States completed in 2009. 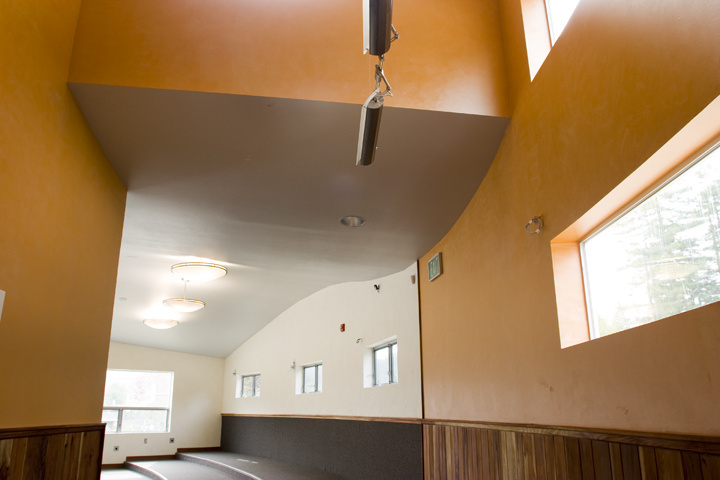 This building annex includes a cafeteria, atrium, and assembly hall featuring LEED-Certified wall finishes throughout. 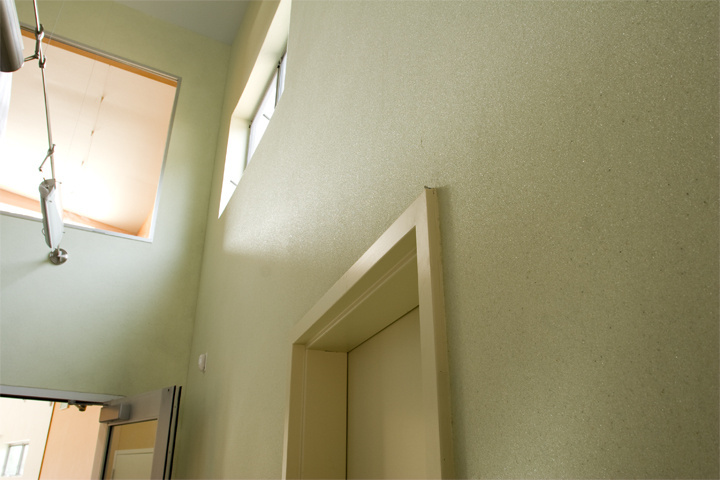 This large-scale project necessitated the use of community volunteers under Stonelace supervision to apply the wall finishes. 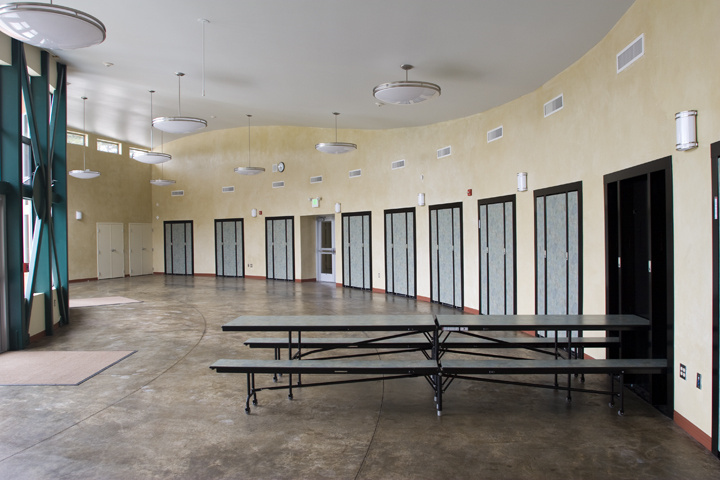 Eco-friendly Verite® cementitious geo-polymer products were applied on the large expanses of cafeteria walls in a golden color. These textured Verite® walls mirror the glass windows on the opposing wall looking out over the beautiful campus. 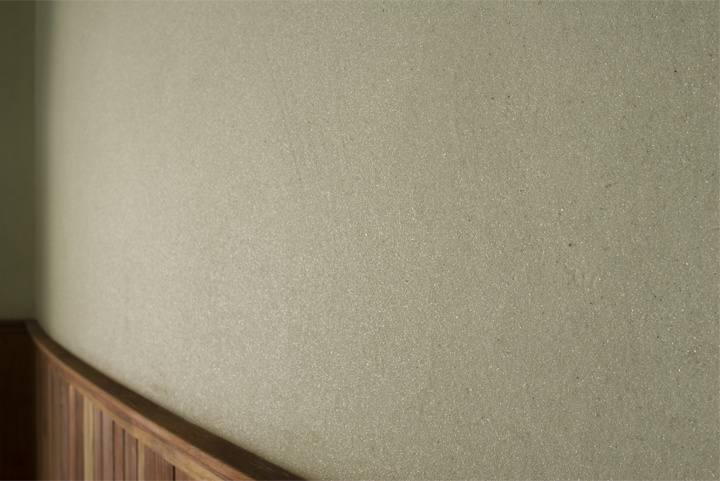 The auditorium’s walls are troweled with a 100% natural cotton fiber finish that absorbs sound and creates a cozy environment. The oval-shaped atrium’s walls are coated in a shimmering recycled glass plaster dyed a seafoam green color that contrasts with reclaimed redwood wainscoting. The product fit beautifully within this highly environmentally-conscious project to create an educational annex that cohesively fits within the school campus and nearby redwood forests.